Simplus has outpaced all ecosystem partners in Salesforce Quote-to-Cash implementations. As a Certified Platinum Salesforce Partner, we were the first, we’ve completed the most, and our experience makes us the best. Because of our commitment to simplifying the Salesforce implementation journey for customers, we are the only designated Salesforce consulting “leader” on G2Crowd. We have completed more than 2,000 successful projects and are in the top 1% of all implementation partners by customer service rating. 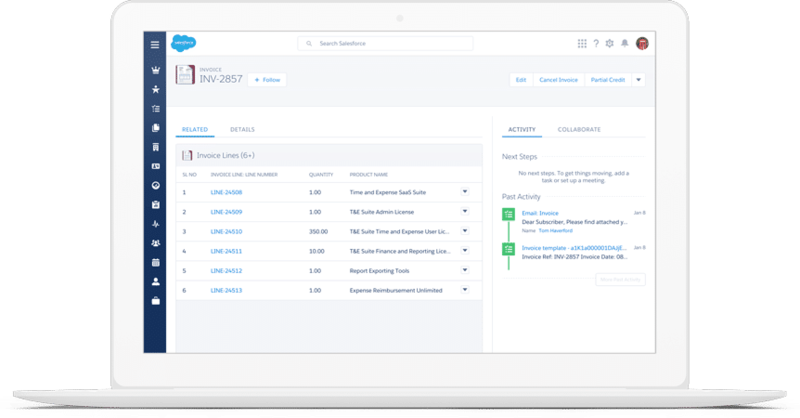 Simplus was first to partner with SteelBrick—the precursor to Salesforce CPQ. We’ve been in it from the beginning and continue shaping the quote-to-cash landscape today. Simplus was the first quote-to-cash implementation partner to be backed by Salesforce Ventures—and we’re the only QTC partner to receive Salesforce Ventures investments four times, including Series B and Series C funding. Simplus continues sprinting beyond the competition—acquiring ecosystem counterparts along the way. Since Q3 2016, we’ve integrated BaldPeak Consulting, EDL Consulting, Basati, CRM manager, CirrusOne, and SqwarePeg to solidify our dominance in quote-to-cash advisory, implementation, and managed services.